PaySpace Payroll Services and Support offers various client care options to assist every business with their specifics needs. From payroll outsourcing and on-site consulting to telephonic support, our expert consultants provide professional payroll guidance and direction. We understand the complexities surrounding certain companies pay structures and therefore we are available to you either telephonically or via email. PaySpace Payroll and Compliance Training offer a variety of product training solutions to empower you to use the software to its fullest capacity. PaySpace offers expert consultants who have years of experience in both the Human Resources and Payroll fields respectively and bring best practices from thousands of successful implementations. As a PaySpace reseller you will benefit by receiving a monthly annuity percentage of all billing done to your referred clients by PaySpace. 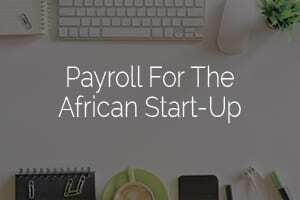 PaySpace Payroll Outsourcing offers you comprehensive payroll processing available in more than 39 African countries. We work closely with our clients to give them customized service from our solid core of payroll specialists.